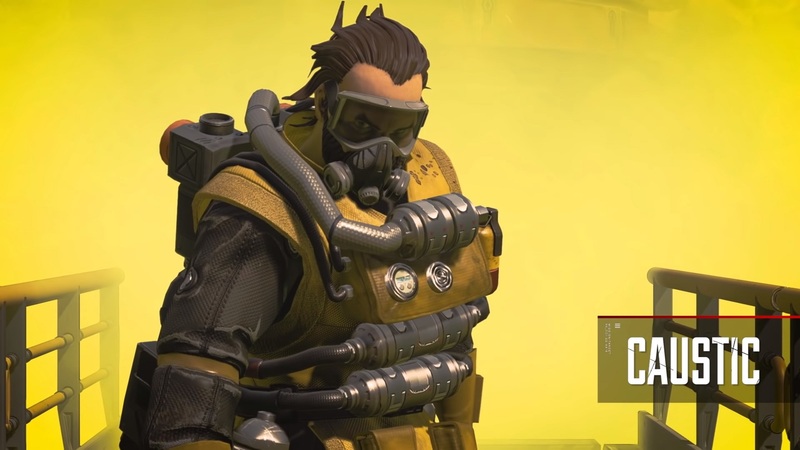 Caustic is one of Apex Legends‘ first premium characters. He’s not terribly expensive, but will cost you a pretty penny in in-game currency if you’d like to grind for him. So you might be asking yourself: is this poisonous hero worth the time or cash? Well, we’re here to help answer that question with our Apex Legends Caustic class guide. Apex Legends has been a true overnight success (gaining more than 10 million players after a surprise launch). 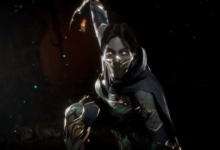 So it’s no wonder that you might want to know more about its playable classes. Caustic stands out from the pack with damage over time skills that control the state of the battlefield, block visibility, and damage enemies unlucky enough to be caught inside. He truly lives up to his corrosive name. Alexander Nox, a.k.a. 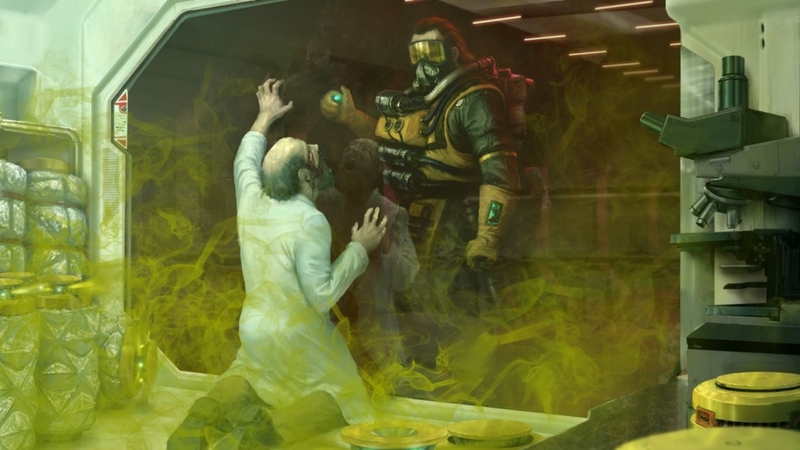 Caustic, is one of the only true “villains” in the Apex Legends roster at launch. He started out as a humble (albeit undoubtedly creepy) pesticide producer. After his supervisor realized Caustic was using live test subjects to experiment with new poisons, things got… nasty. Now Caustic has joined the rest of the Apex Legends characters in their battle royale. Only he’s not interested in the money. Instead, Caustic just wants more test subjects for his deadly Nox gas. Caustic sure loves his poison gas. Literally all of the Apex Legends character’s abilities are based around it. 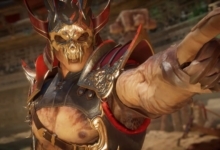 Luckily, he’s also immune to his own toxins and can see enemies that get trapped inside of it. That makes him incredibly damaging and often very versatile… when you’re indoors. 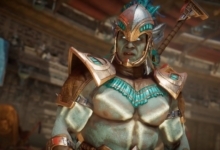 Passive Ability: Nox Vision – Caustic’s passive ability might not seem all that special. Simply put, he can see any enemy that gets trapped inside of his poison clouds. But that’s a lot more useful than it sounds. Nox gas blocks visibility almost as well as Bangalore’s smoke grenades. And unlike Bangalore, Caustic can actually see through his miasma. That makes him a unique threat to player visibility — even if it takes a while to get his gas going. Tactical Ability: Nox Gas Trap – But to see through his gas, Caustic needs to actually produce it. That’s where the Gas Traps come in. You can place up to six of these canisters at once to cover an extremely wide area. Once active, they start producing toxic gas whenever they are shot or if an enemy walks past them. However, enemy players can shoot the glowing weak points on the bottom of the canisters to disable them. There’s no disabling this Apex Legends ultimate ability, however. Nox Gas Grenade does exactly what its name implies: produces a massive cloud of Caustic’s deadly poison in a wide area. It damages over time and blocks enemy vision. There’s also really no way to disable it after it kicks off. It’s a powerful Ultimate, but it’s also a bit limited in the fact that the Nox gas only really accumulates inside a building–while still somewhat effective outdoors, you’ll want to keep the Nox Gas Grenade for when you’re inside with an enemy squad. 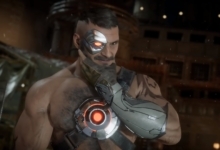 Strengths: Caustic has the distinction of being both the first character with damage over time skills (Nox gas) and traps (Nox Gas Traps) in Apex Legends. That gives him nearly unparalleled control over the battlefield in the right situations. 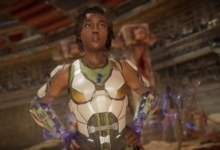 Also, as one of two characters that need to be unlocked before you can play as them, people don’t really know how to react to the Nox gas. Weaknesses: Caustic is nothing without his gas. While other heroes can use their abilities at the drop of a hat, all of this Legend’s skills require enemies that willingly walk into their range. If your foe is smart or fast enough, or has a movement ability like Pathfinder’s grappling hook, they can leave your gas in the dust. Finish off your foes. Nox gas is incredibly potent. Enemies that stand in it for even a short time will continuously take damage until it either dissipates or they die. But they can always walk out of the cloud and into relative safety., That’s where Caustic’s passive comes in. Since you can see your enemies, and their vision is blocked, you can easily get the drop on them with conventional weapons while they panic. The extra damage they take from Nox gas will make it all the easier to finish them off. Use choke points and fight indoors. Running away is often the best way to counter Caustic. Without his gas, all he has are guns and the wits of whatever player is using him. So, naturally, you want to keep foes locked in with your deadly vapors. Indoor areas and choke points around doors are your best bet. That works out pretty well, too, since the vast majority of easy loot is found inside buildings. Set a trap or six! Close the doors behind you. This may seem silly, but closing the doors to indoor areas have a number of benefits with Caustic. You can place traps right where the door is, preventing others from opening it. Closed doors prevent the fumes from leaking out, too. Your squadmates won’t be hurt by your gas. Thankfully, friendly fire isn’t a problem with Caustic’s abilities. Your squad can use the gas as an impromptu smoke screen, letting them go in for some kills.